The feed enzymes market is projected to grow at a CAGR of 9.3% from 2017, to reach USD 1,428.6 million by 2022. The demand for feed enzymes is projected to be on the rise, owing to factors such as increase in production/consumption of animal-based products. The global production and consumption of animal-based products have increased rapidly in recent decades; the increased demand for these products has had a direct impact on their production, and has increased the pressure on the global livestock production, driving the feed enzymes market in the world. The other drivers of the market include high cost of feed in livestock farming, ban on antibiotics as growth promoters, and positive impact on the environment. On the other hand, the regulatory structure and interventions pose as the major restraint for the feed enzymes market. The market for protease in feed enzymes is projected to be the fastest-growing during the forecast period. Protease help the farmers in saving on feed costs, owing to which the use of protease can contribute significantly to the current efforts focused on reducing nitrogen emissions during livestock production. Hence, protease is an emerging type of feed enzymes, which has been gaining popularity in the recent years. In 2016, the poultry segment accounted for the largest share in global feed enzymes market. It provides poultry birds with proteins, thereby increasing their growth rate; they also strengthen their immune system. The demand for poultry meat is higher than the demand for other meat products. This drives the poultry segment in the feed enzymes market. On the basis of form, liquid was the larger segment in the feed enzymes market in 2016. The liquid form of feed enzymes is preferred and used more often. The reason for this is that it provides a number of advantages over the dry form of feed enzymes?it is the more convenient, economical, and effective for use in animal feed as against to dry feed enzymes, which is projected to drive its market. Enzymes extracted from microorganisms are of great importance in the manufacturing of animal feed. Currently, the latest molecular techniques are used to discover microbial enzymes, which are used in the feed industry to improve feed quality. These reasons drive the microorganism segment in the feed enzymes market. The fastest-growing market for feed enzymes between 2017 and 2022 is projected to be Asia-Pacific. The largest producer in the region, China, continues to contribute to the region’s leading position, with substantial growth witnessed in India and Japan. Pork and poultry are widely consumed in the Asia-Pacific region. The demand for poultry is estimated to increase in India and China, due to the rise in population, increase in purchasing power, and changes in consumer food preferences. This increase in demand for meat protein has triggered meat production in the region, where uptake of feed enzymes has increased and is expected to show a healthy growth. The global market for feed enzymes is dominated by large players such as BASF SE (Germany), E. I. du Pont de Nemours and Company (U.S.), Associated British Foods plc (U.K.), Koninklijke DSM N.V. (Netherlands), and Adisseo France SAS (France), Azelis Holdings SA (Belgium), Rossari Biotech Ltd (India), BIO-CAT (U.S.), and Alltech Inc. (U.S.). The feed enzymes market has been segmented on the basis of type, livestock, form, source, and region. 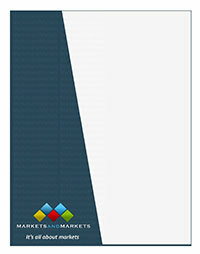 In terms of insights, this research report has focused on various levels of analyses?industry analysis, market share analysis of top players, and company profiles, which together comprise and discuss the basic views on the competitive landscape, emerging and high-growth segments of the global feed enzymes market, high-growth regions, countries, and their respective regulatory policies, government initiatives, drivers, restraints, opportunities, and challenges.